1. How did you first get involved in coaching? What was your path to your position as head coach of the Vikes? I played eight years on the national women’s field hockey team, and finished my playing career following the 1984 Olympics. 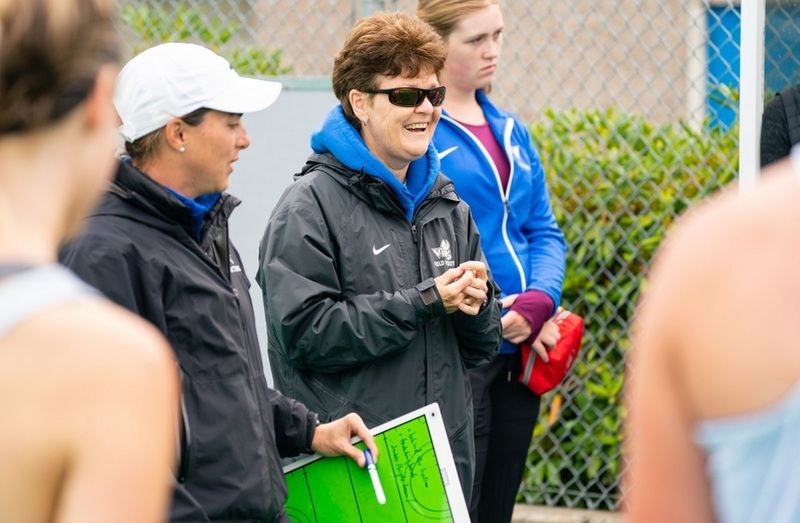 At the conclusion of the Olympics, my teammate, Nancy (nee Charlton) Mollenhauer, asked if I would be interested in becoming the assistant coach of the UVic women’s field hockey team. 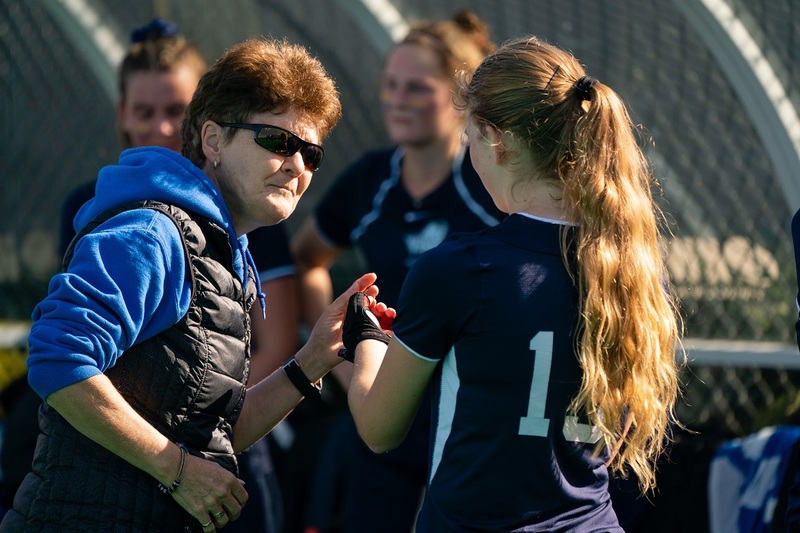 Nancy was in her fifth season with the Vikettes, and thought I might be able to help Sandy Drever, the head coach at the time, get the most out of the players on her team. 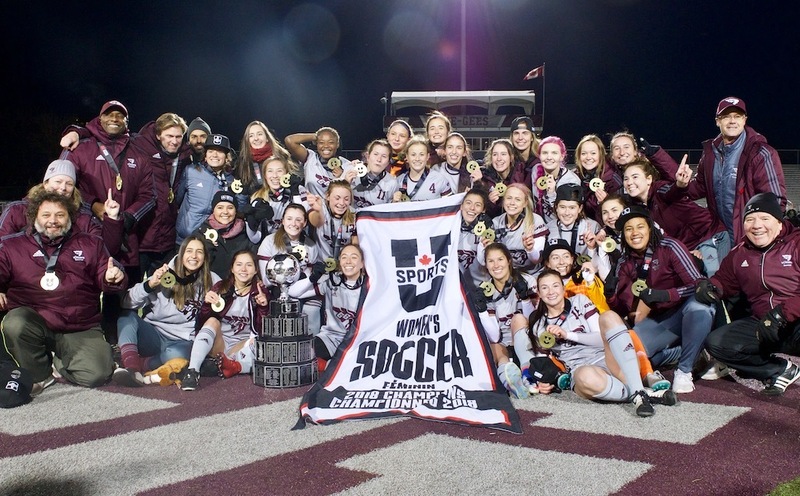 That season, the UVic women’s field hockey team went on to win their first-ever CIAU national field hockey title. 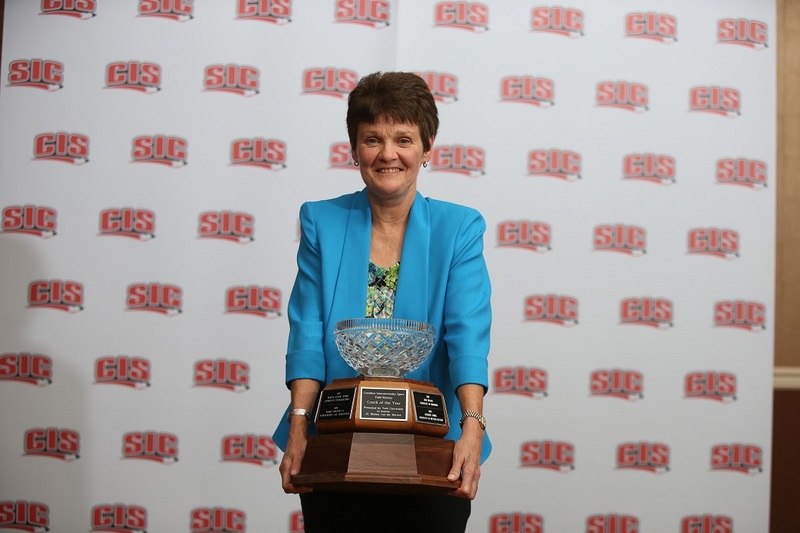 At the conclusion of the 1984 competitive CW/CIAU season in November, Sandy Drever resigned. Ken Shields, the athletic director at UVic, hired me as the head coach. I have held this position for the past 35 years! I have been most greatly influenced by my parents. They were married at 17 and had four children by 22 years of age. This could have been a recipe for disaster. Instead, they taught me about the benefits of hard work, the ability to sacrifice, and the power of love! I have utilized these three ingredients to become the coach, and person, I am today! I believe I am an athlete-centered coach. However, I focus more on what each athlete can do for the betterment of the team, rather than on what is necessarily best for the individual athlete. I am a great cheerleader, eager to find and acknowledge what the athletes do well. Through my spiritual approach, (soul to soul//heart to heart), I do my best to uncap the well-springs of potential that each athlete possesses. I admire those (coaches and others) with positive, encouraging and loving dispositions, who inspire those in their environment to achieve more than they thought possible. I admire those who are able to find the lesson(s) in their adversity and still be able to flourish. I admire those who are passionate (loves wholeheartedly, what they do), hard-working (willing to outwork others), humble (doesn’t care who gets the credit), courageous (faces fear and conquers it), loyal (wants the best for the team) and trustworthy (keeps their word). Each year, for the past 35 years, I have created a theme for our Vikes women’s field hockey team, with the hopes of teaching our athletes life skills in a fun-filled environment. My belief is that if athletes are having fun, fear won’t creep into their minds; thus, they’re more likely to do well on the field. In 1991, the UVic women’s field hockey team was very young. We had lost four athletes to graduation in 1990, and our top three players were unavailable to play because of their commitment to the national team. With only two fifth-year players, a mixture of second to fourth-year players and seven rookies, we were ranked fifth out of six teams going into the CIAU Women’s Field Hockey Championship. In the pre-tournament talk, I told them the story of the bumblebee. According to the experts, bumblebees aren’t meant to fly because their wings are too small for their bodies. Thankfully bumblebees can’t hear the experts! I challenged our athletes to be like the bumblebees and prove the experts wrong! In overtime of the final game, there was an injury to a UBC player. All of our athletes huddled together in a tight circle. I thought the veterans were telling the rookies what they needed to do to win the game. Later, after hoisting the McCrae Cup, emblematic of the national field hockey champions, I heard that, when they had huddled together, they had just touched sticks and started ‘buzzzzzzing’ in unison! Like the bumblebee, they, too, proved the experts wrong! For many years, I wanted to run all the drills at practice and make all the game decisions because I wanted to make sure that the athletes were receiving the same message - mine. Thankfully, that changed when Krista Thompson joined my coaching staff in 1997. I felt she had the same philosophy as me - wanted what was best for the athletes, and the team. Together, we have coached the team for the past 22 years! It is so much better! All the qualities that I admire in others (see question No.3), I continue to do my best to emulate! When I am not coaching, I love golfing! It allows me the opportunity to be in nature. And, in this game, I don’t have to worry about anyone trying to dispossess me when I move my club away from the ball! In 1990, our team had a very successful season - winning 11 games and tying one game. I didn’t hear the rest of the words, nor who had been selected as the recipient of the award because players had started to clap. As I stood up to receive the Coach of the Year Award, I noticed my friend, and fellow coach from UNB, walking to the stage. She had the same record as me, had won a gold medal at the Canada Summer Games, etc. She had been chosen the winner! I slipped back into my chair, hoping that nobody saw me getting up to accept the award!